This is one of the simpler cookies, so easy to make! 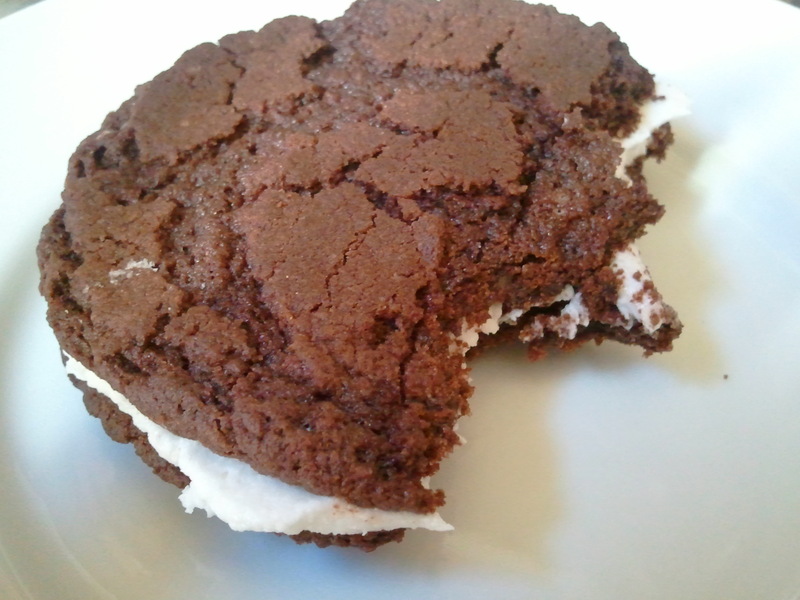 And if you like store-bought Oreo’s then you will love these! 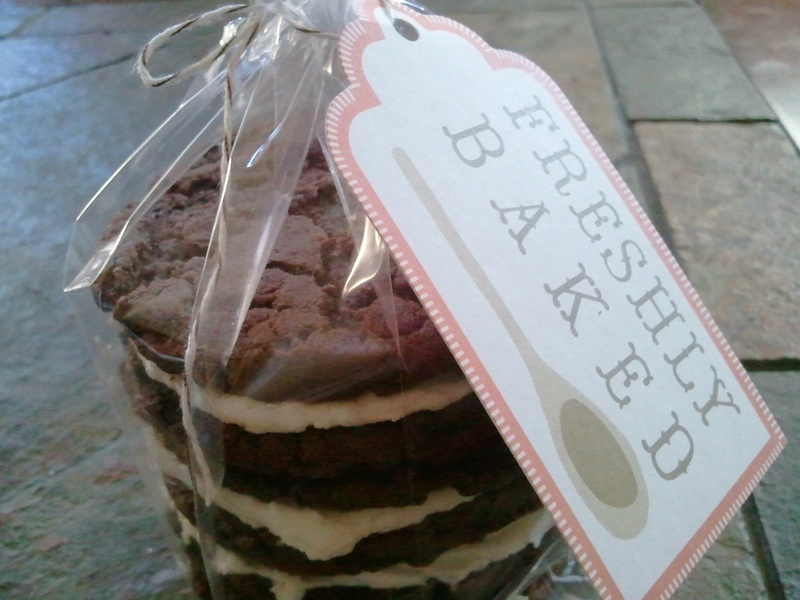 The particular day I made these, I decided to make them Jumbo Oreo’s and give to a friend. (Hi Sabrina!) For a Christmas cookie, I will make much smaller and add crushed candy cane to the filling. And if you want to get real festive, think about dying the filling pink or red! Mix all three ingredients by hand until combined. Roll into balls. I used a small cookie scoop to get my jumbo ones, so you may want to do 1/2 of a small cookie scoop. Bake for 12-15 minutes. Flatten the cookies with a spatula immediately. Cool on a wire rack. Mix all ingredients by hand until well combined. 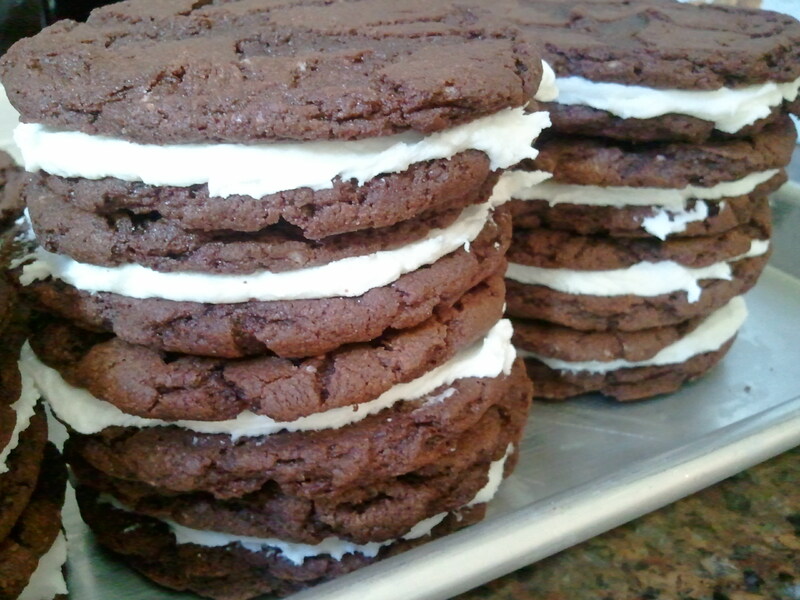 Frost a cookie and make a sandwich! Yields about 14 Oreo cookies.